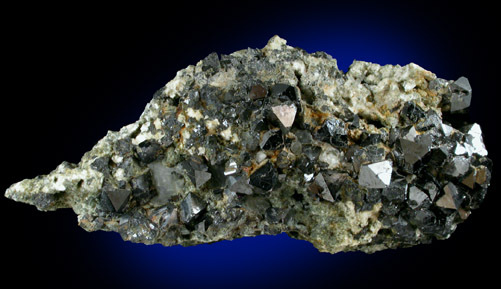 Description: Sparkling cluster of dark metallic, octahedral magnetite crystals on diabase matrix. 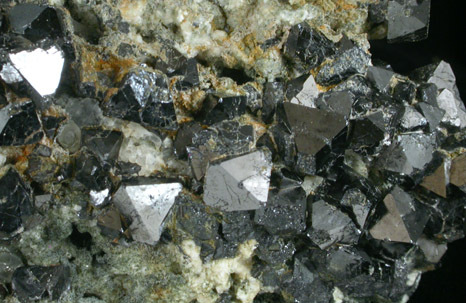 Magnetite from Snake Hill is the best found in New Jersey and sought-after by collectors. The New Jersey Turnpike (I-95) now cuts through the side of Snake Hill.